After a fair few situations that I’ve experienced paying for goods that didn’t involve an actual card, I wanted to share some with you to ease your inevitable concerns of having your card stored in another place than your wallet. Threatened with harm by a pregnant colleague if I didn’t take an unannounced leave for five minutes, I head to McDonald’s and order the bagel. I use my iPhone to pay for it. The server does a double take, asking if that’s ApplePay, I reply saying yes. He goes to wait for the bagel being made, but I hear him talk with his colleague about what he just saw. At Starbucks on Tritton Road, I’m waiting to pay and as always, I ask if I can use the contactless. So in an instant, I have to remember where I put my card, as it’s almost never in the wallet. But I check it anyway. Not there. I’ve got one hand full of a wallet and some EarPods, and now just when I’m thinking I need to change the order to use the spare change I’ve got, I find it, remember the pin, and done. A couple of days after this, I discover that I’ve lost my debit card. I look everywhere for it, but it’s nowhere. But I realise, if I cancel it at the bank, then ApplePay also switches off. So I thought I’d try a week where I only used ApplePay. I had my phone and my watch, with some backup money in change just in case it failed at one time. 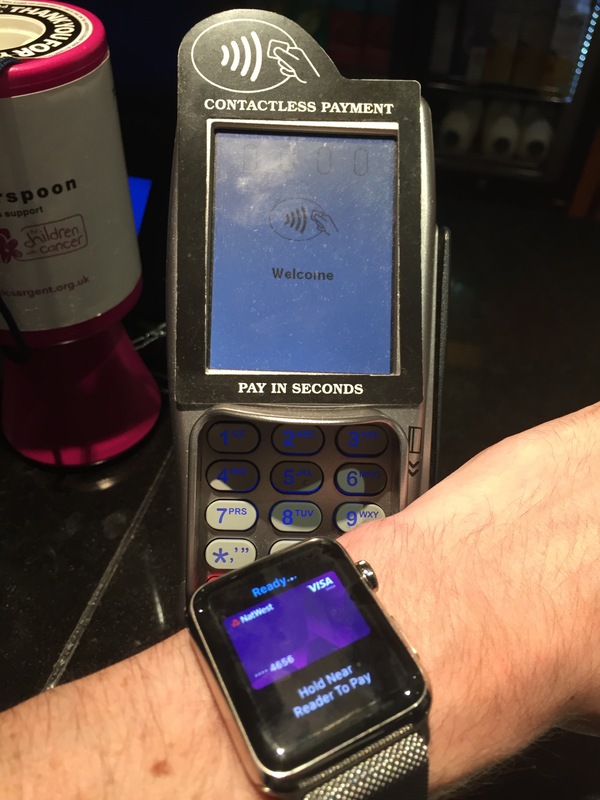 I was at an event in Birmingham only a few days later, with nothing but ApplePay. Finding a place to eat and drink wasn’t a challenge, as the Marks and Spencer’s and Starbucks were only a walk away, but it would have been nice for a shop such as Tescos Express to have it to take advantage of the offers. A supermarket that doesn’t have contactless doesn’t make sense to me. Only Morissons have it for now, and it’s an ideal method. After a week of only using ApplePay, it only showed me how useless carrying our wallets and purses are. 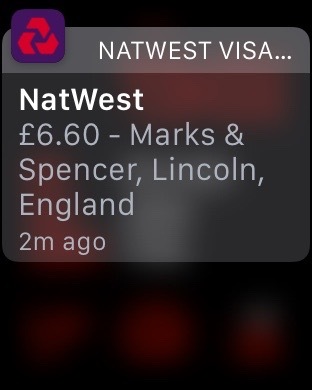 It also shows how much easier contactless can be, whether it is Apple Pay, Android Pay, or just contactless by card. Having a plastic card in a wallet is now ridiculous to me. If the phone or watch was stolen, I could lock it using iCloud, and the bank would also block access. But they would need my fingerprint regardless, and so no money would be spent. During the month, eating waffles, drinking wine, eating more involving ribs, I see some independents that have installed a payment system. But one that doesn’t include Apple Pay, only contactless. Granted, it’s a fair way to offer the option to many banks, but having to pay with your wrist or phone is a fun way, and now with cheaper means of having this in smaller businesses, there’s a way to have it implemented. One day in Morrisons, I was, embarrassingly, asked for a form of ID, and as my driving licence is currently in pieces, I didn’t have any to show. And so I had to have my Gin taken away. But an idea appeared. 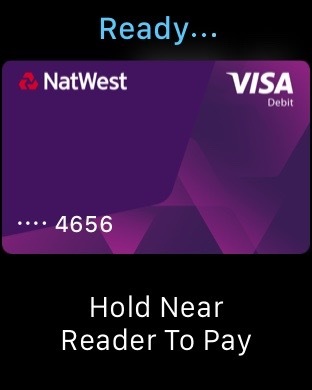 If Apple Pay expanded to passports and driving licences, it could be even more of an easier experience. Why have a plastic card with a hologram when your thumbprint with your date of birth could be more of a feasible form of identification. Fraud in shops and businesses could be cut down considerably because of this. Maybe soon, it will be a reality. But I’m all for my smart device replacing my wallet, and hopefully soon, my ID.